Have you ever read a recipe and saw the term "blanch" and thought to yourself "What on earth?" Yeah, I did too. So I thought I would show you how to do it step-by-step and tell you why it is important. 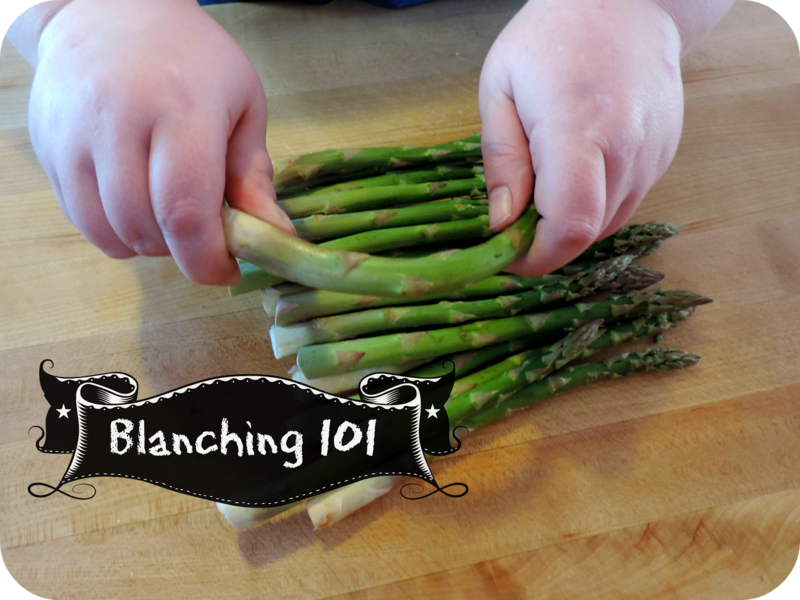 Blanching by definition is simply boiling a food, usually a vegetable, for a short amount of time, and then shocking it in a bath of ice water. First, it softens the vegetables. Secondly, it removes any bitter flavors the vegetable may have. And thirdly, it sets the beautiful color of your vegetables. I know it sounds like it is difficult and time consuming, but I assure you it is not. Blancing is one of those essential techniques you need to know in order to help make your vegetable dishes be all that they can be. First, you will need to bring a pot of water to boil. Next, add your prepared vegetables to the water. Let the vegetables cook for 2-3 minutes. No more. Remember, you are softening your vegetables, not cooking them to a mush. Immediately take your vegetables from the boiling water to what is called an ice bath. That is just a bowl full of ice water. This will stop any residual cooking and set the vibrant color. Once cooled, remove from water and there you have it! From this point you can freeze them , sauté them, anything you want. They will maintain their vibrant color and integrity. See you thought that was going to be difficult.